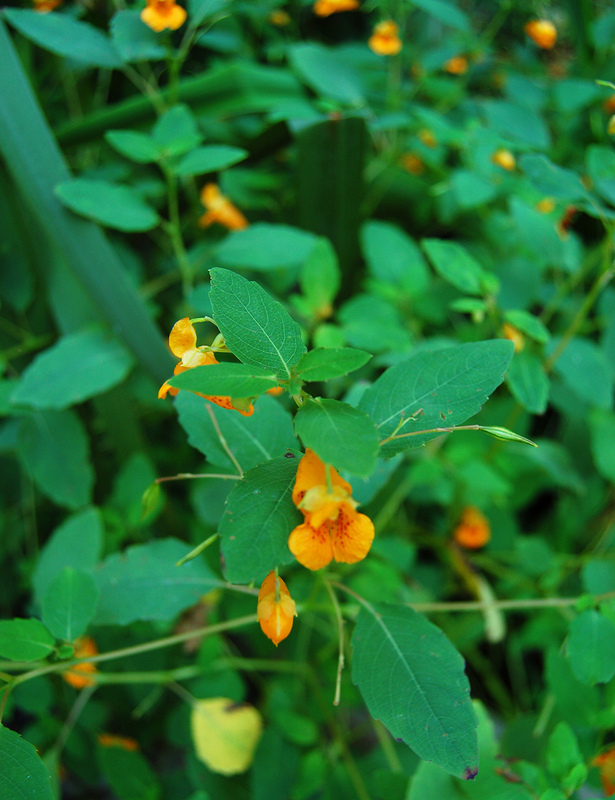 If you are a hiker, allergic to poison ivy or outdoorsy type of person like me, jewelweed is a great plant to know. 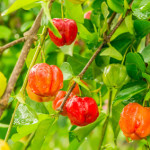 They are a great remedy for poison ivy, insect bites or anything that’s causing itchy skin. At first Jewelweed is hard to identify without the orange or yellow trumpet like flowers that bloom in the summer, but once you do, you will see it any place water is running. Here is how you can use it for itchy skin. Say you are hiking along and walk right into a patch of poison ivy. OOPS. Quick go by running water, pick some Jewelweed. Slice the plant stem and rub the juice on the affected area. Or if you want to prepare for a later attack of the itchies, collect some Jewelweed and throw it in the blender with a little water. Blend to you get a smooth liquid and pour into an ice cube tray. Then, when you need it, take a Jewelweed ice cube and rub it on any skin irritation. Feel your skin calming down. Frozen Jewelweed will be viable for up to a year. If you don’t get a chance to forage any Jewelweed of your own, I make a Itch Ease Spray (specifically for itchy skin) that uses Jewelweed along with Aloe, Colloidal oatmeal and several other ingredients specifically selected to EASE Itching. Check it out. I wish I had noticed the poison ivy itch relief product today at the Organic Fest. I did type a comment. Aaaaah! What a blessing. And it smells lovely, too! That is so awesome! 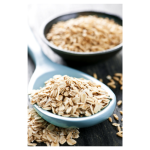 Ingredients like colloidal oatmeal, aloe vera, lavender and the power of plants really work! I will be at the North Asheville Tailgate market on the 26th. I just made a new batch before the jewelweed dies out. It will last a long time and be viable for next year as well.